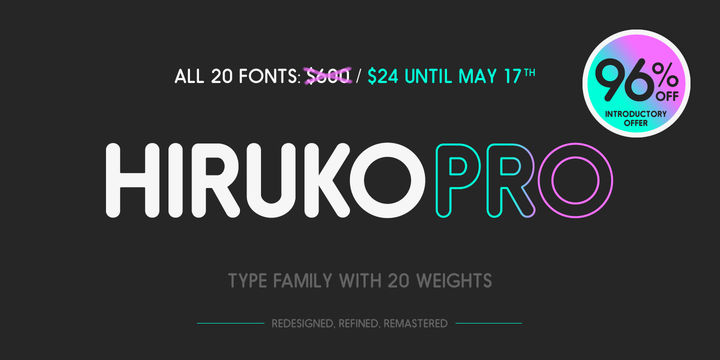 Hiruko Pro is a pristine, superior adaptation of original release dating back to 2008. The typeface has undergone a number of improvements to the original family. This includes a wide range of redrawn characters, enhanced kerning, and 4 brand new weights to facilitate more balance for the entire family. The font Hiruko Pro is known to work really well as a headline and a text font. The best part is that the font renders amazingly on the web.